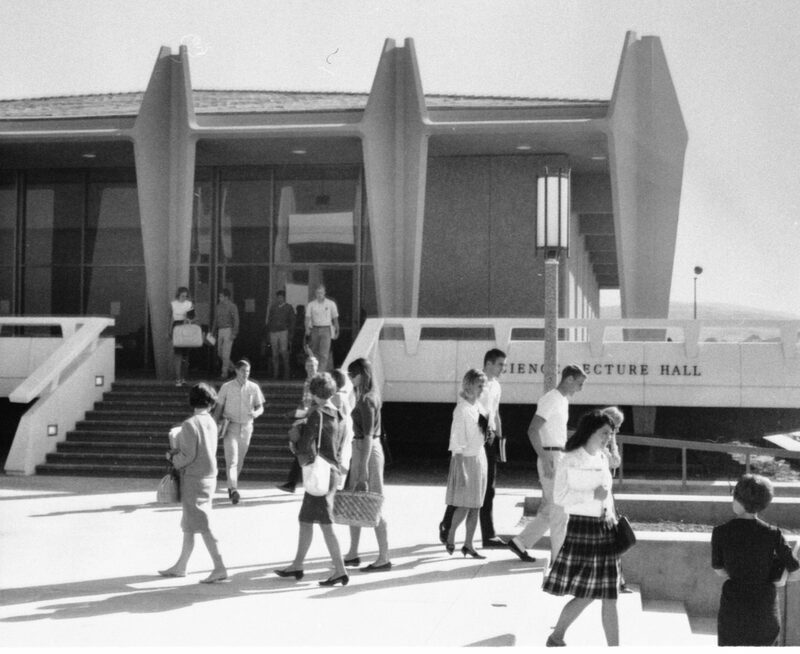 The School of Biological Sciences was one of the original founding divisions of UCI when the campus first opened in 1965. Besides Biological Sciences, the other founding academic units were engineering, fine arts, humanities, physical sciences, social sciences and the graduate school in administration (later management). Chancellor Dan Aldrich recruited a visionary and innovative leader, Edward A. Steinaus, as the founding dean of Biological Sciences. Dean Steinhaus organized the school based on levels of analysis rather than on taxonomy, which had been the common practice. He rationalized that greater advances would result from clustering faculty studying similar biological processes as opposed to grouping individuals studying similar organisms. Revolutionary at the time, this organizational structure has become almost universally adopted at universities throughout the world. Dean Steinhaus also created the first academic department in the world devoted to the study of the brain and recruited James L. McGaugh to be its founding chair. A few images of our campus when it first opened its doors. Starting with the founding dean of the School of Biological Sciences, Edward A. Steinhaus. The School has benefited from visionaries set to make the School a premier institution for the sciences. Learn more on how each dean has helped transform the School into what it is today. 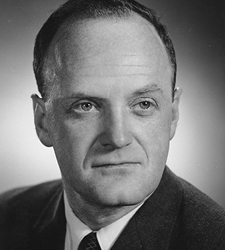 In 1968, Professor Steinhaus became the first UCI faculty member elected to the National Academy of Sciences. Following his death, the original Biological Sciences Building was renamed Edward A. Steinhaus Hall in his honor. 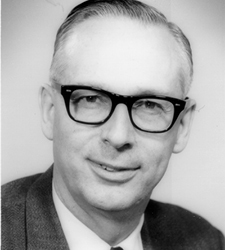 James L. McGaugh was recruited to UCI in 1964 to be the founding chair of the Department of Psychobiology (now, Neurobiology and Behavior). Within a few years, Professor McGaugh became the dean of the school and eventually rose to become the Executive Vice Chancellor. He later founded the Center for the Neurobiology of Learning and Memory. 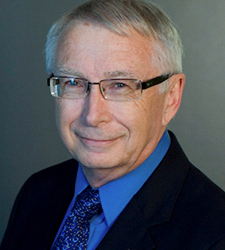 Professor McGaugh was elected to the National Academy of Sciences in 1989, and awarded the UCI Medal in 1992. A decade later, one of the largest science buildings on campus was renamed McGaugh Hall in his honor. Howard A. Schneiderman was appointed dean 3 months after being recruited to UCI. During his tenure, he greatly increased the school’s research funding and recruited top research faculty. 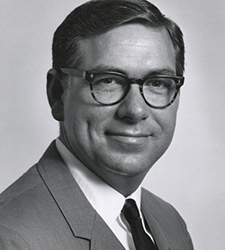 In 1975, Schneiderman was the second UCI professor elected to the National Academy of Sciences. 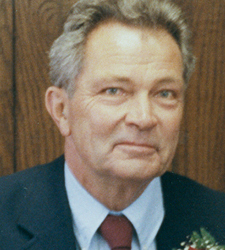 In 2003, the Science Lecture Hall was renamed to the Schneiderman Lecture Hall in his memory. An expert in the physiology of marine organisms, Professor Stephens’ work led to a better understanding of how ocean systems work. 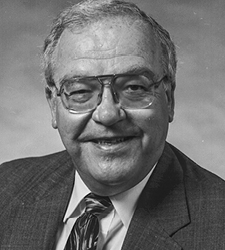 In 1982, he assumed the deanship of the school and helped build up Development and Cell Biology by recruiting key faculty members, including fellow physiologist and future school dean, Al Bennett. L. Dennis Smith was recruited to UCI to become the fifth dean of the School of Biological Sciences. By that time the school had grown substantially, and was the largest and most popular academic program on campus. During his tenure, Professor Smith oversaw a major physical expansion of the school, via state-funded laboratory and office space, as well as the construction of a state-of- the-art science library. 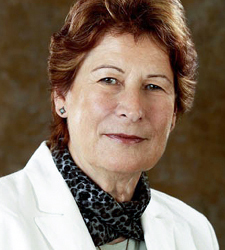 Elvera Ehrenfeld’s appointment as dean of the School of Biological Sciences was a milestone in the university’s history. Not only was she the first female dean of Biological Sciences, but she was the first woman to head any academic school at UCI. An expert in the biochemistry of viruses, Professor Ehrenfeld worked hard to grow and strengthening the field of structural biology while dean. 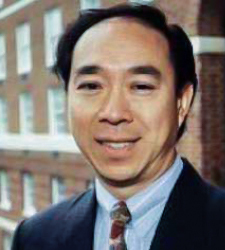 Shin Lin was recruited as the seventh dean of the School of Biological Sciences from Johns Hopkins University. During his tenure as dean, Professor Lin extolled the value of a biology degree as a path to careers other than medicine. 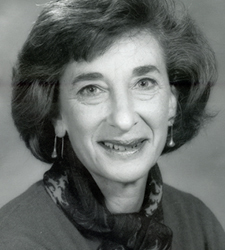 In 1970, Susan V. Bryant became the first female faculty member of the School of Biological Sciences. Professor Bryant, an expert in the study of limb regeneration, has been the driving force for a wide range of initiatives, including advancing stem cell research. As dean, she led the efforts to secure a five-year $3.45 million National Science Foundation ADVANCE grant to address gender inequities at UCI. Professor Bennett shepherded the school through a 40% increase in demand for its undergraduate majors. Under his leadership, the school added several degree programs, including the Biology/Education major and the Human Biology major. He also spearheaded efforts to create new research opportunities and helped forge new community relationships with organizations like the Irvine Ranch Conservancy.